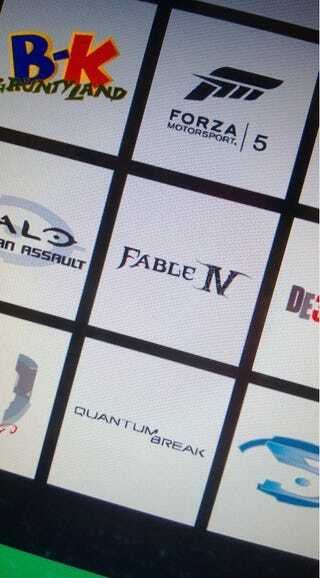 E3 Rumor: Xbone Games Revealed? Though you should definitely take this picture with a gain of salt, it's fun to speculate as to if it's real or not. It should be noted that this picture appeared yesterday and Microsoft announced that new Halo: Spartan Assault (see in the center left square) today. Dun dun dun! It was also noted by Rare that one of their most loved franchises would be back at E3. That would explain the new B-K. What are your thoughts? PS - Sorry if this already circulated. I'm just now seeing it!